The reds of Burgundy are known for their elegance and finesse — but not Pommard. 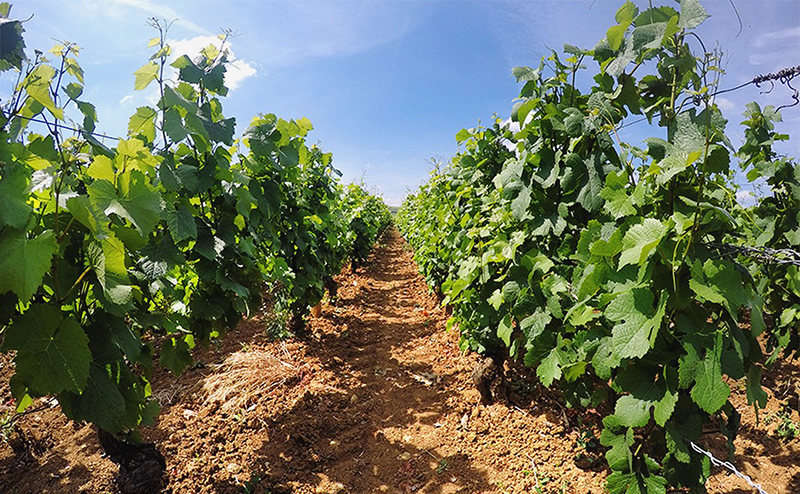 Its clay-rich soils produce reds that Rajat Parr calls “masculine, rustic, and earthy.” Next to the elegant, ethereal red Burgundies of the rest of the Côte d’Or, Pommard stands out. It’s a bit less subtle, but no less delicious. Roger and his daughter Julie Belland are 5th and 6th generation winemakers in Burgundy. They craft wines that are neither pretentious nor pricey. Using a cool, slow fermentation to preserve the fruit in their wines, the Bellands produce friendly, attractive, delicious red Burgundies that need no patience. Burghound calls Belland’s 2015 Pommard “utterly delicious” and “highly seductive,” with a “balanced and lingering finish.” From an exceptional vintage with unusual ripeness, this shows loads of perfectly ripe fruit, cool sturdy tannins, and a balanced, mouth filling palate. The wines of Pommard famously age very well, but Belland’s 2015 Pommard won’t require much time. The nose is deep and perfumed, with plum, wild cherries, and cinnamon. The palate is rich and mouthfiling, with ripe, punchy tannins and notes of pan drippings, strawberry jam, and faint anise. Pair this with an autumn evening and a hearty pasta with veal or short ribs. Next post: Velvety, Cozy Old-Vine Châteauneuf-du-Pape.